Analysis: Jones is coming off of a monster 2018 season that saw him total 15.5 sacks, nearly double the 8.5 he'd recorded over his two seasons prior. 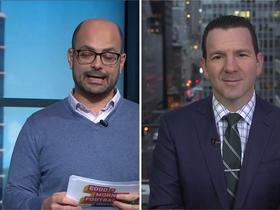 The defensive lineman is entering his age-25 season in 2019 and could be a quality player for the Chiefs for several years if he signs an extension. It appears to be early on in the extension talks and it may be a while before a final deal is in place. Jones closed out 2018 with 40 tackles (35 solo), 15.5 sacks, an interception, two forced fumbles and his first career touchdown in 2018. Analysis: Jones was a solid player in his first two seasons with the Chiefs, but he really proved himself worthy of the second-round selection in 2016 during his third year in the league. Although his streak of 11 straight games with a sack ended in Week 17 against the Raiders, Jones has become a name for which opposing teams need to scheme. Heading into the final year of his rookie contract, Kansas City will almost assuredly make an attempt to lock him into a longer deal this offseason. Jones notched three tackles (two solo) and 1.5 sacks during Sunday's 38-31 loss to the Seahawks. Analysis: Jones has recorded a sack in an outstanding 11 straight games, and he now has a career-high 15.5 on the season. The third-year pro will look to continue his disruptive performance in Week 17 against the Raiders and into the playoffs. Jones had three tackles (two solo) and 2.5 sacks in Thursday's 29-28 loss to the Chargers. Analysis: Jones extended his sack streak to 10 games and ranks second in the NFL with 14 sacks -- trailing only Aaron Donald at 16.5 sacks -- though Jones has now played one more game than his competitors. The 25-year-old will look to extend his stretch of dominance Week 16 against the evasive Russell Wilson and the Seahawks. Jones had four tackles (three solo) and a sack in Sunday's 40-33 win over Oakland. Analysis: Jones extended his sack streak to eight games after not recording a sack through the first four weeks of the season. The 24-year-old has already set a career high with 10 sacks, and also has two forced fumbles and an interception to go with his 30 total tackles. Jones racked up six tackles (six solo), two sacks, three tackles for loss and one pass defended in Monday's 54-51 loss to the Rams. 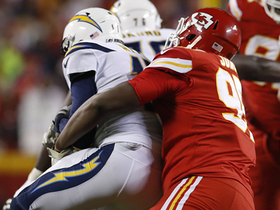 Analysis: Jones was busy all night for the Chiefs' defense and racked up his second consecutive two-sack performance in Week 11. The third-year pro now has nine sacks this season, which is a career high. Jones and the Chiefs will head to their bye week in Week 12. Jones recorded three tackles (two solo), two sacks, two passes defended and one forced fumble during Sunday's 26-14 win over the Cardinals. Analysis: Jones looked dominant during all phases of Sunday's win, consistently pressuring rookie quarterback Josh Rosen and posting his fifth sack of the season. The third-year defensive end will look to log another strong showing against the Rams in Week 11. Jones recorded four tackles (three solo), including a sack, in Sunday's win over the Browns. Analysis: Jones has now recorded a sack in five consecutive games. His four tackles weren't monstrous numbers, but they were the most he's posted in any game this season. So long as he continues providing a consistent pass rush, he'll be an IDP option to consider. 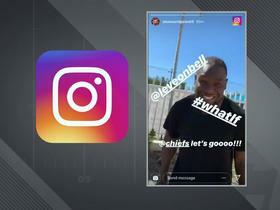 Watch to see how free agent running back Le'Veon Bell crashed Kansas City Chiefs defensive end Chris Jones' Instagram story. 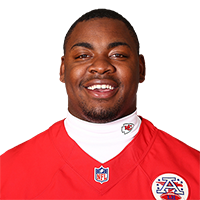 Kansas City defensive end Chris Jones breaks NFL record for most consecutive games with sack. 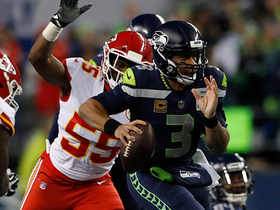 Kansas City Chiefs Chris Jones and Dee Ford combine for third-down sack of Seattle Seahawks quarterback Russell Wilson. 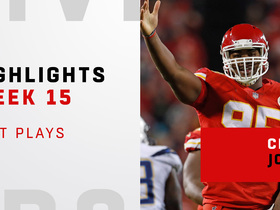 Kansas City Chiefs defensive tackle Chris Jones sacks Los Angeles Chargers quarterback Philip Rivers multiple times in Week 15. 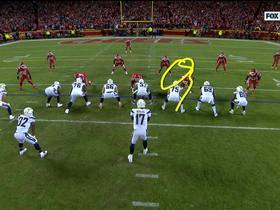 Kansas City Chiefs defensive tackle Chris Jones sacks Los Angeles Chargers quarterback Philip Rivers for a loss of 5 yards. 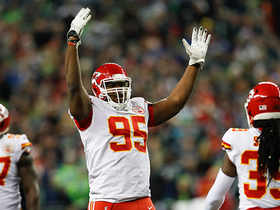 Kansas City Chiefs defensive tackle Chris Jones making big plays in various games. 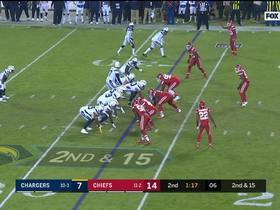 Watch the Kansas City Chiefs defensive lineman Chris Jones in a Week 15 win against the Los Angeles Chargers. 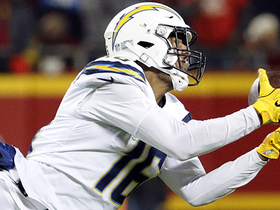 Los Angeles Chargers wide receiver Tyrell Williams lays out for a 26-yard over-the-shoulder catch from quarterback Philip Rivers. 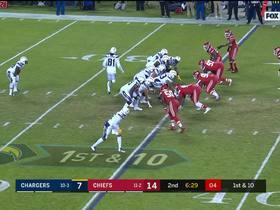 Kansas City Chiefs defensive lineman Chris Jones takes down Los Angeles Chargers quarterback Philip Rivers for his second sack of the game.